Over the last 20 years, more than a million Brits have made life-changing profits from buy-to-let. But as prices keep rising and the tax landscape changes, investors need to get smarter in order to succeed. It’s far from “game over”, but the game is changing… for the better. The unwary and under-prepared will be squeezed from the market – leaving educated, strategic investors to have their best decade yet. 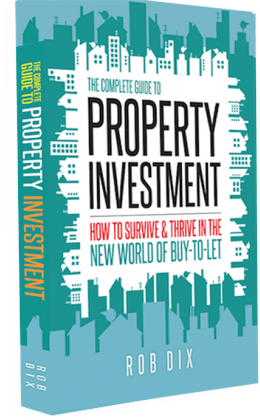 The Complete Guide To Property Investment gives you the insight, information and action plan you need to navigate this new property landscape and come out on top. It starts by demonstrating – with real-life examples – a range of strategies suited to achieving different investment goals. Only then does it take you step by step through every aspect of researching, financing, buying and managing investment properties. How to build a profitable portfolio for the long-term – including scaling up, surviving recessions, and exit strategies. 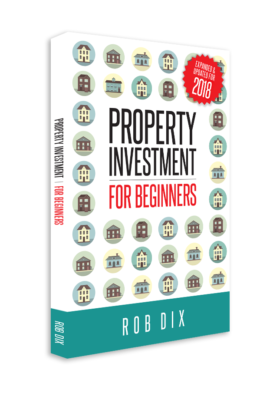 Whether you’re turning to property to secure your retirement, start a new career or generate a stream of passive income, this book will be the most valuable investment you make. Take a property, throw in a tenant and watch the money roll in. This seemingly simple formula has attracted nearly two million people in the UK to become landlords, but the reality is a whole lot more complicated. Did you know, for example, that if you forget to provide a certain piece of paper you might be unable to evict a tenant – even if they don’t pay the rent? Or that you could be fined for not checking your tenant’s immigration status? And don’t forget the inevitable broken boilers, mysterious leaks and various tenant complaints that always seem to happen at the most inconvenient time. How To Be A Landlord is a straightforward guide to everything involved in letting and managing a property – whether you’re an accidental landlord or an enthusiastic investor. In simple and entertaining language, it covers important steps like preparing the property to let, advertising for tenants, conducting viewings, doing all the paperwork, managing the tenancy, and dealing with any tricky situations that crop up (including the dreaded emergency repairs and evictions…). 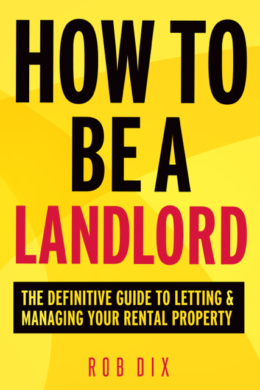 Frequently updated and with contributions from over 50 experienced landlords, this is the most current and comprehensive book on the subject – and essential reading for anyone who wants a simple, profitable life as a landlord. What does it take to be successful in property investment? How can you start with nothing but a very ordinary level of savings, and amass a portfolio that means you'll never need to work for anyone else again? 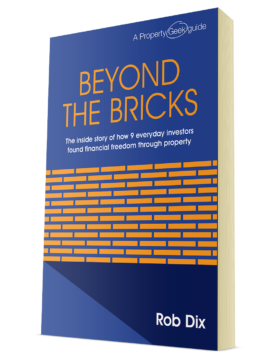 Beyond the Bricks is a window into the lives of 9 UK-based investors who’ve done exactly that. Through long-form interviews with them we learn exactly how they did it, what their lives are like now, and what they recommend to anyone just starting out. Put this on your list of property must-reads. Of course, “success” is a relative term. During the book you’ll meet people ranging from Mark, who amassed a portfolio worth millions, to Serena, whose few houses saved her family from financial ruin. And along the way you’ll meet Kim, who was unstoppable prior to the credit crunch, nearly lost everything, and found an innovative way to stay afloat. These stories will entertain and inspire you all the way through to the end. The day-to-day life of a property investor isn’t necessarily what you’d expect either. Fast cars and exotic holidays are represented… but so too are sprinting in pursuit of rent cheques, pottering around in a dressing gown all day, and helping a tenant with cancer by driving her to hospital appointments. This book is less of a “how to” than a “how you could”. It won’t give you one formula for success, but many practical ideas and inspiring examples that you can use to craft your own property investment story. With all jargon clearly explained, this book will be an educational and entertaining read for those who are yet to get started, as well as a rich source of new ideas for more experienced investors. Even though the credit crunch is still fresh in everyone's memory, the media is getting excited about house prices again - and you're convinced that property could be your key to financial freedom. And it could. But where do you start? Do you invest near where you live, or wherever yields are best? Do you rent to families, or professionals, or students? Should you be trawling through Rightmove or lurking at property auctions? This short book covers the big questions you should be asking yourself before you so much as glance at an estate agent’s window. It contains a jargon-free explanation of basic investment principles, summaries of the major post-crunch investment strategies, and advice on developing a mindset that will support your long-term success. …although you will need to endure some pretty shocking jokes along the way. Sorry about that.